Launched as a treatment at the Trust in September 2016, Transcranial Magnetic Stimulation (TMS) is used to treat individuals with drug-resistant depression. The device uses a pulsating magnetic field to target specific sites in the brain, stimulating nerve cells in those areas, thereby easing symptoms of depression. Dr Abdelghani, Consultant Psychiatrist, picked up his award at the sixth Clinical TMS Society Annual Meeting in New York in May. The award, presented to him by the Society President, Dr Michelle Cochran (both pictured above), is given annually for celebration of ‘dedication, coordination, efforts and leadership to advance the ideals of the Clinical TMS Society’. 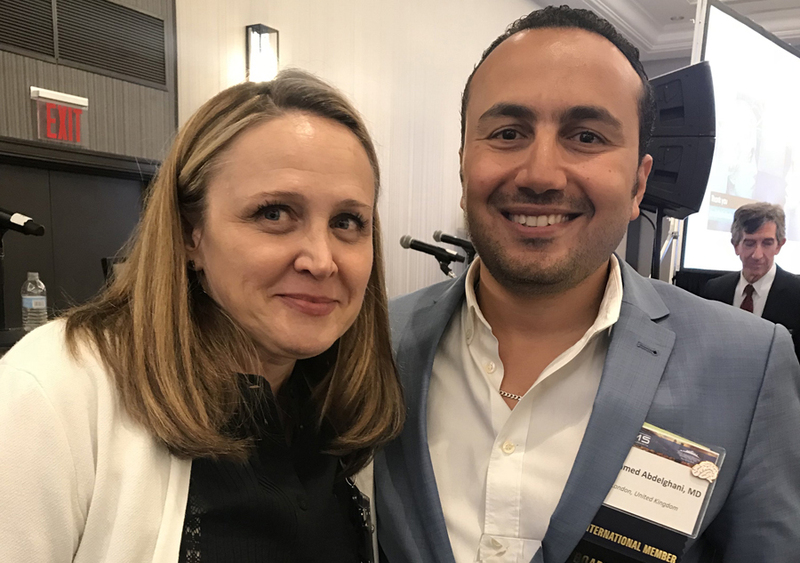 Dr Abdelghani led on the project to bring TMS to C&I and completed intensive training focused on TMS in Harvard and South Carolina in the United States of America. Angela McNab, Chief Executive, said: “This is fantastic news for both Dr Abdelghani and for the Trust. You can find out more about TMS here.